God is interested in us personally. So much so, that he personally gives us this sign. Because of Matthew's explanation of the meaning of the name Immanuel, we know what that sign was — Jesus coming to live as God with us. His presence is God's presence. His life is God's sign. 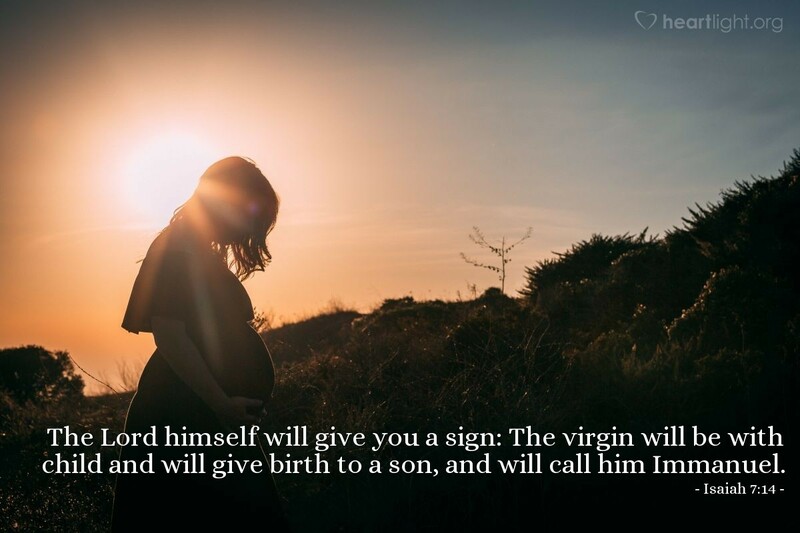 The miracle of his conception is God's mystery and also his statement of grace for us. Holy and Almighty Lord who refuses to be the god who is detached and far away: I thank you for coming to live among us in Jesus. I thank you and praise you for your sacrifice and pain. I know this sign cost you greatly so please let my praise in prayer, song, thought and life reflect my thanks to you in Jesus name. Amen.